In today’s generation solar generators are in trend, most of the people use them as a backup power for dealing with emergency cases, And others rely on they can be charged without wasting money for electricity or fuels. These types of units are mostly seen in mobile homes, RVs, Caravans, Secluded lodges and in many remote areas. In order to get the best backup service, you need to invest your money on the best solar generator, which should provide you sufficient power even when the sun isn’t shining very brightly, should be easy to fit and stay charged for a long time. Your decision of buying the best solar generator is by using our review as a guideline for buying. The power Survival kit will help you to stay charged anywhere without power. 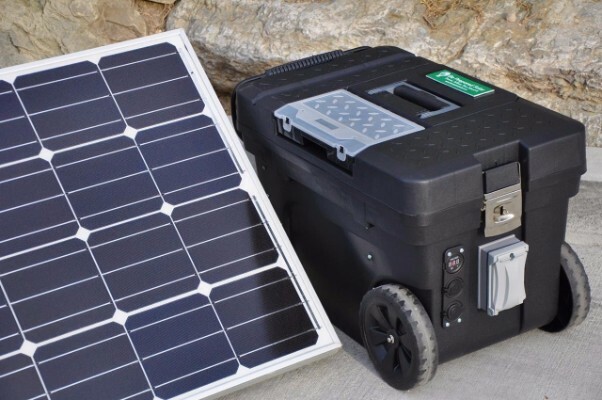 The power Survival kit is a compact unit which consists of two powerful mono crystalline solar panels, a large capacity battery and a heavy duty universal inverter. This device also can run high energy demanding devices like refrigerators, freezers and also a pump very well. The generator consists of 12V DC plugs for items like portable fans, gaming devices and many more. Forget about the ineffective UPS inverters or the noisy gas powered generators. With the Be Prepared solar generator you will get dependable power at a very low cost. 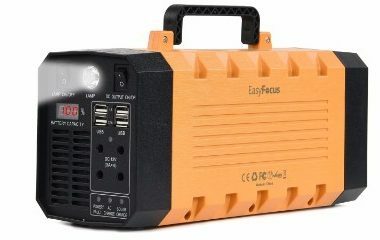 The Be Prepared solar is a 2500 watt system that can easily power up many accessories for a loner time before it needs to get charged. This sophisticated generator comes with 2 100 watt solar panels which are mainly made from sturdy materials that resist the elements. It has got a 100 ampere battery which stores the power and delivers it in the time of need. 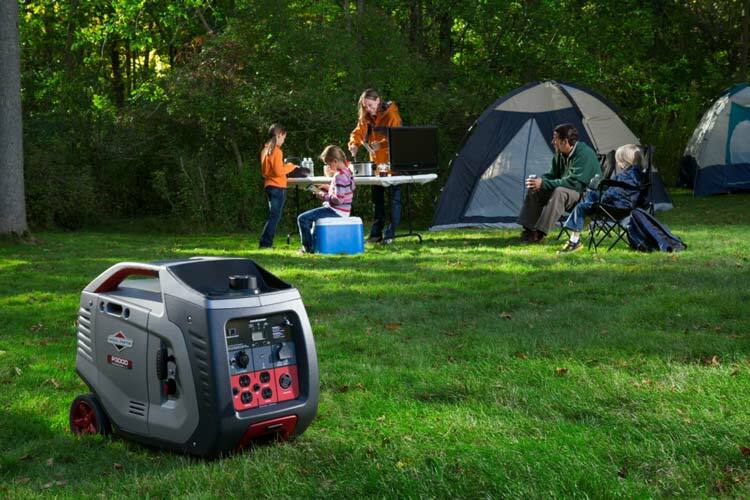 However through this reviews about different camping generators you will be able to fathom about much more models which are also listed here in. The AMSU is designed for day to day applications whether at office outdoor, or home. The AMSU has several outputs of AC, DC with 4 USB to charge gadgets like cell phones, laptops, notebooks, cameras, fans, tablets and many more. 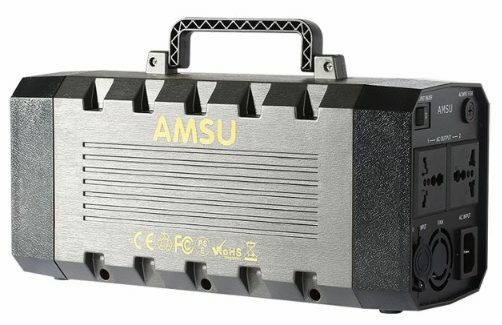 The unit of AMSU comes with powerful rechargeable battery that recharge real fast and easily can power many devices easily for long duration of time. The AMSU has also got a silent operating system which is making it conductive in small a small space with quite environment. 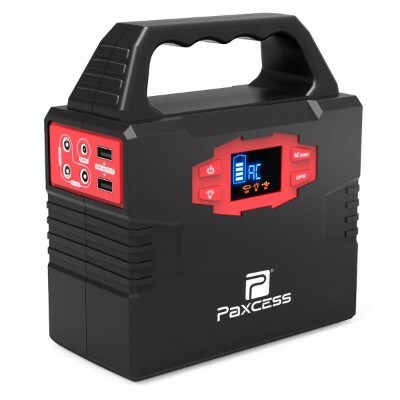 The PAXCESS solar generator is currently the tiniest solar generator available in the market. This generator can be easily carried from one place to another, despite the size it supplies a good clean power, and In fact some says that it is among the best in term of high capacity batteries. It gets charged through solar panels as well as from car batteries. This generator has several pots for the accommodation of various devices and can be utilized in outdoor, caravans, office and many other paces.